This beautiful lamp work Bead Set Only is for the Twist, Counter Twist project found on this site as a full kit. Many of my customers have already made this project and want to make more but don’t need the full kit. 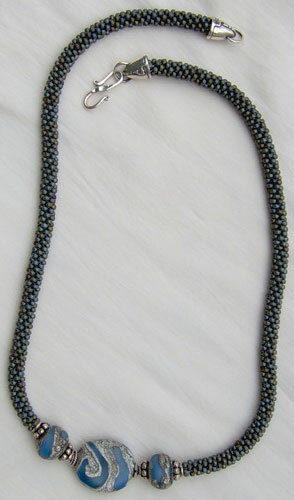 So here I'm offering the same bead set that is packed in my full kit and includes the two lamp work drop beads. 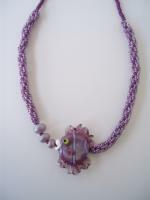 This beautiful lamp work Bead Set Only is for the Here Fishy project found on this site as a full kit. Many of my customers have already made this project and want to make more but don’t need the full kit. So here I'm offering the same bead set that is packed in my full kit and includes the lamp work fish and three bubble beads. This is the dichroic bead (or small cuff) that I use on my Fire and Ice bracelets. It is made especially for this project and has a drilled hole at the centerpoint of each end. I have them in small (1 3/4 inches) or medium (2 inches) or large (2 1/2 inches). 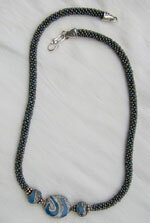 because of the bracelet design, I have had them made in varigated colors to compliment bead colors. 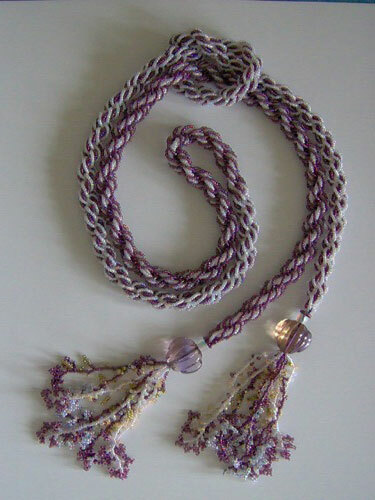 This beautiful lamp work Bead Set Only is for the Show It Off project found on this site as a full kit. Many of my customers have already made this project and want to make more but don’t need the full kit. 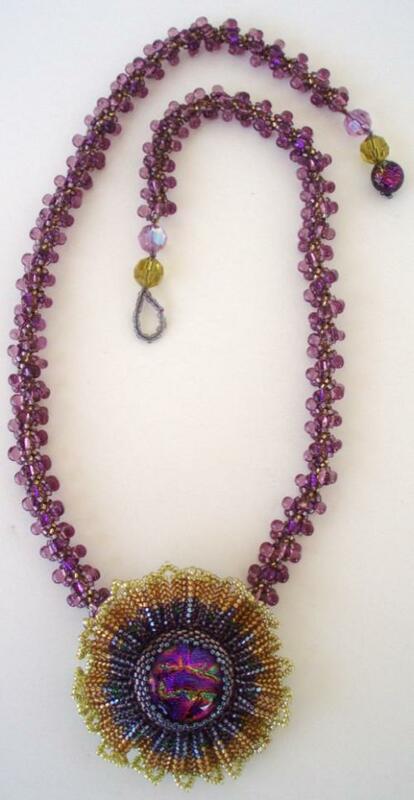 So here I'm offering the same bead set that is packed in my full kit and includes the lamp work focal bead and the two matching smaller side beads. 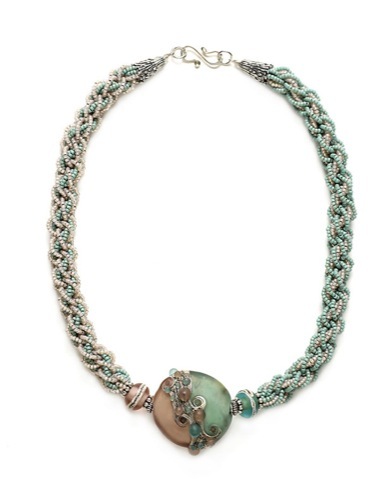 This beautiful lamp work Bead Set Only is for the Seafoam Necklace project found on this site as a full kit. Many of my customers have already made this project and want to make more but don’t need the full kit. So here I'm offering the same bead set that is packed in my full kit and includes the lamp work focal bead and the two matching smaller side beads. This beautiful lamp work Bead Set Only is for the Sparkling Summer Sun project found on this site as a full kit. Many of my customers have already made this project and want to make more but don’t need the full kit. So here I'm offering the same bead set that is packed in my full kit and includes the dichroic pendant which is approximately 3/4 inch and the prepared small dichroic dot closure.